For soapmakers... Plans for the ideal soap display holder. This is the perfect solution for displaying your homemade soaps in stores and at craft fairs. 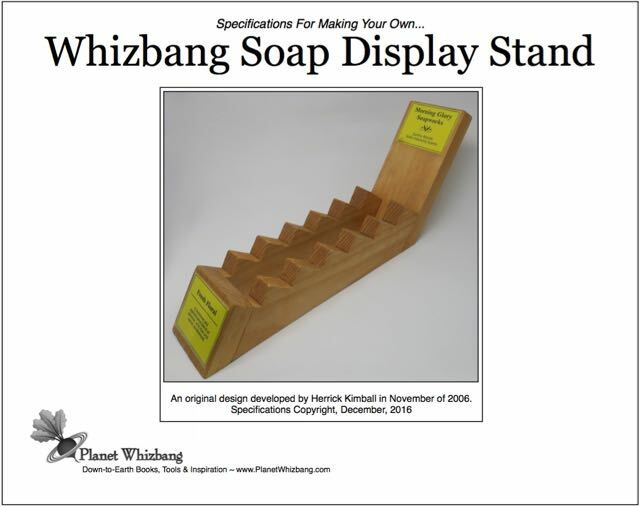 This 4-page pdf download explains exactly how you can make your own Whizbang soap displays. CLICK HERE NOW to learn more about these soap displays.